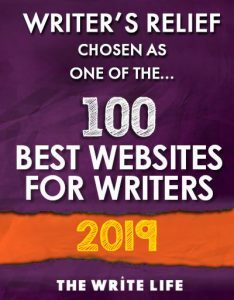 Writer’s Relief has helped hundreds of writers submit their poetry to literary journals and magazines, and as those of you who regularly read our free newsletter Submit Write Now! know, we’re pleased to share our techniques with you. 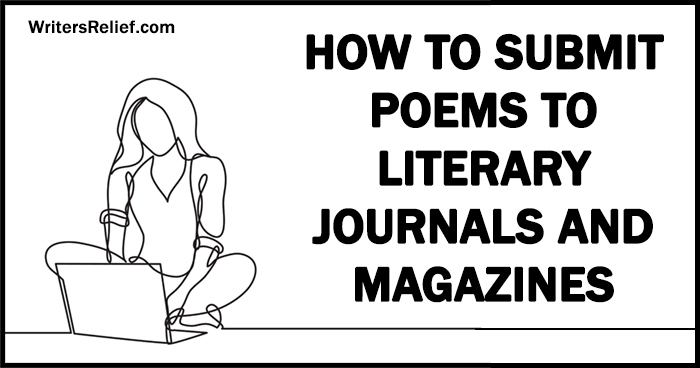 If you’ve been hoping to publish your poems by submitting poetry to literary magazines, here’s a step-by-step guide to help you get your poems to editors to increase your chances of getting an acceptance letter. Write awesome poems. One would think this goes without saying. However, if you’re not reading the poetry that is being published in literary journals and magazines, then you won’t know how your poetry stacks up. Read to improve your technique, to support the underfunded literary journals that publish poetry like yours, and to engage with modern aesthetics. In other words, don’t just think your poems are awesome: know that they’re awesome. Then you’ll be ready to successfully submit. If you’re not up to the task of doing the research, you can use our A La Carte Service (we will target 25+ markets that will be a nice fit for your particular type of poetry). Or you can read more about how to research markets on your own. Choose 3 to 5 of your best poems for submission. Most literary magazines will not read more than five poems per submission. The poems may or may not be thematically related. Here is an article about why length matters for poetry, and how to write poems of the best length. Format and proofread your poems. Skip the big, unique fonts—stick with something simple and traditional. Put your name and contact info on every poem. Also, note page numbers on poems that are longer than one page. Write your cover letter. Keep it simple. Include the titles of your poems, a brief professional bio, and a courteous closure. If you insist on being clever, do so at your own risk. Click for an article with more information on how to write a cover letter. Keep track of where you send your poems. Be prepared to send out many, many submissions and receive many, many rejections. Embrace the large numbers of submissions and the equally large numbers of rejections as part of the process. You’ll need to find a way to keep track of who is reading what, who has rejected what, and who made a nice comment and/or asked to see more work from you in the future so that you can send work to them again. Get ready to do it all again. Making submissions habitually and regularly is what gets acceptances. So fortify yourself with a cup of coffee, take a deep breath, and get those poems out there! 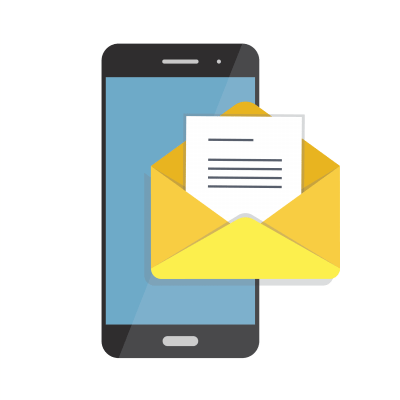 At Writer’s Relief we manage all of the above processes for our clients (with the exception of writing your awesome poems!) For an overview of our services, visit www.WritersRelief.com. QUESTION: Have you ever had a poem published in a literary journal? Leave the details as a comment! That would depend on the anthology. Some take work that is previously published, others do not. We would check the guidelines for each anthology before submitting. Hi. Ive been free writing for a while. Very self conscious about my work. Here recently i shared some material with a group of friends. After reading a few of my projects they strongly suggest i take further action to get my voice heard. I know nothing about anything when it comes to poetry. I just write and i enjoy playing with words. Hey! Just wanted to check- if you get your poems published in magazines, are you still able to get them published in an anthology with a traditional publisher? Would having your poems in magazines hurt or help your chances of this? Yes, once the rights revert back to you, you can put your published poetry on your own website with an acknowledgement to where it was published first. If I have any poetry that ever gets published in a magazine or literary journal, can I still submit my own poetry online? Like on my own website? I wrote a poem and would love to put it out there to show people to let people know they aren’t alone and that they deserve more than they think. How would I put it out without anyone claiming it was theirs? We’re not lawyers, so we cannot give any legal advice in this area. But if you do choose to submit the poetry to literary journals, be sure to make it clear that they were written by your father and that you are submitting them after the death of the author. I just found three poems that my grandfather wrote and I was wondering if it were possible to have them published. I am not looking for money but I think they are very good and would like to share them!!! Any ideas??? Hey! I compose poems since I was 14 and now I am 19, till date I have composed 115 of them and I want everyone to read them. How can I make it possible? Thank you for your comment, Shad0wmagick. I’ve been writing for years and for years I’ve been told I should be published. Is it really that difficult to get noticed and is reward worth the effort? I’m recently new to being open with my writing & poems, but because i’m now open to sharing my world of thinking with the universe i don’t expect it to come as easily as getting it out their as it is of having the talent itself, to able to put words together for me is just a simple way of thinking in a different prespective for my imagination to understand my world around me, i just wish to share my way of thinking of the world then the creation of my arts itself. I just wanna be heard. If that makes any sense. Hi…. This is awesome information you share….. Thank you. The information about not posting poetry online, if you want to submit it later, is crucial! My latest poetry is being published in Whirlwind – Mother Earth. It’s my first poetry acceptance, and has encouraged me to continue working toward a collection for a chapbook. Thanks for the article! Thank you for reaching out to Writer’s Relief! Every agent and publisher is going to have different rules and requirements. Our free publishing tool kit may be of help to you. Sumiayyah, Try our publishing tool kit! Hi. I wanted to ask how can you publish a poem. One of my good friend writes small poems. Which are really touching and nice. We would like to introduce ourselves as a literary journal and magazine that publishes monthly. We publish poetry, stories and research articles. Ashvamegh is free of cost! My daughter of 9 has written a wonderful poem, I think it would go well in a children’s edu publication. I would like to have it published. What should I do, is there like a list of publishers that do publication for children books. Shweta, starting small seems like a great first step! You’re on the right track! Well, I am just a neophyte in writer’s world right now. I’ve written 27poems. I need to know if all these publishing sites are safe, what if you trust them and send them all your writings and you end up knowing that it did not benefit you either way. I’m an Indian and I am yet not too grown up to be prying into all the sites. What shall I do? Shall I start with a small step first? By a small step I mean publishing in School magazines and all that first? I am 13 years old I have written over 50 poems on philosophy broken hearts and pain just cause I like it on my friends persuasion I intend to give my poems to a magazine or something like that the things mentioned above are too much for a boy to handle along with his studies. Madeleine, Unfortunately, those poems would be considered previously published by many outlets. You can learn more here. I have been writing poetry for years and I have never gotten around to actually putting a collection of verse together.Some of my poems though I have published on line always putting my name to them and the copyright symbol. I have a few poems that I have written this way in my blog.Does this mean then that I cannot approach a publisher with these poems now and attempt to sell them the copyright?This would really be unfortunate because they are some of my best. Try our resource for finding literary journals. Most literary journals accept submissions from all over the world. Just make sure to read through the submission guidelines thoroughly and submit online when possible! I’ve had many poems published. I’ve had many published for charity. I’ve been writing since I was a teenager. To write, think of pasttimes/news events & build your poem round them. Hi..I’m a Nigerian and I have a poem titled ‘The People of the Fallen City’. I’d like to get it published but I don’t know how. I wonder if you could be of help. Thanks. I wonder if there is some sort of geographical restriction as I presently live in Nigeria. Please, I’d like to know. I love how you relate with people. i have quotes and poems i have written. im trying to put my work out there and get publicized. Hi Sameer, unfortunately, since your work was published online and has been publically viewable, it is no longer eligible for publication. You never want to put short prose or poems up on the internet if they are unpublished, as editors will rarely take them. They need to know that the work they are taking is fresh, original, and, most importantly, from you, which becomes compromised once you put it on a public venue such as the Internet. hi….I have written a poem this Valentine’s day (14Feb2013) titled “My Dreamgirl”.. I uploaded it on a blog…and it was very well received on internet….now i intend to formally get it published in a magazine. I have read that writersrelief has helped people in this regard. No, but I have written more than 50 poems on love! Or you can have Writer’s Relief do the research for you, provided you are either 18+ or are working with a parent/guardian. I am a young poet from India and I assure my poems are worth reading and that they exhibit teenage dreams and passions, I am looking for some authentic publishers who could piblish my work and provide a range of greater audience. We have many articles on our site about how to promote your creative writing online. Be sure you’re subscribing to Submit Write Now! so you can continue to get our new ones that are in the works. I am trying to figure out where to reach my audience, I understand that socializing consist of using the internet and well i can not figure out where to show my work. How can i publicize my Work? I write short inspirational stories,and poems.I hope to be able to market them in some form. My goal is to reach young people with guidelines they can live by. Any suggestions would be greatly appreciated. Mxolisi, Take a look at our article How to Get A Poetry Collection Published: http://www.writersrelief.com/blog/2009/05/how-to-publish-a-poetry-book-chapbook-or-collection-of-poems/. I have my work ready for publishing what must I do to get my poetry published every where in there world, publishers should stop charging too high publishing fee to young and up coming Authors who are battling to get their work published. I have my scrip ready to get it published where can I submit it. Carol, thank you for your kind words! Of course, your gorgeous writing should be widely published, and it is our pleasure to target markets for you! I too have had my work published in a variety of venues, mostly due to my connection with Writers Relief. They have made it possible for me to have time to write instead of constantly searching for places to submit. Thanks to all of you there! Yes! I’ve published a bunch of poems in literary journals…thanks to Writer’s Relief! I wonder how to publish my research in modernism .Could you please give me a website to publish it .